We're going it alone this week! Hannah is off on her holidays (the lucky thing) so we will be hosting the linky all by ourselves. You will have to bear with me today, as I just started back at work full time on Monday, but I promise I WILL give this linky all the time and exposure that it deserves. And, of course, I will comment on all your gorgeous link ups. I love love love Joey's 'Hi' top from H&M - I almost bought it for Isla the other week but they didn't have her size! 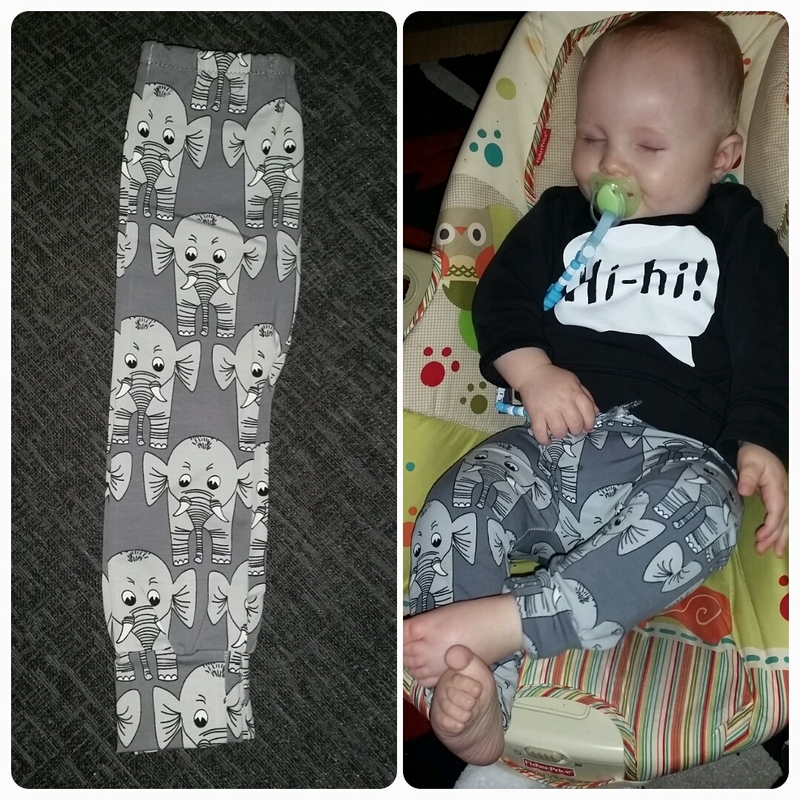 The elephant leggings go perfectly too. Fab outfit Lauren from Life & Loves of Lolly. 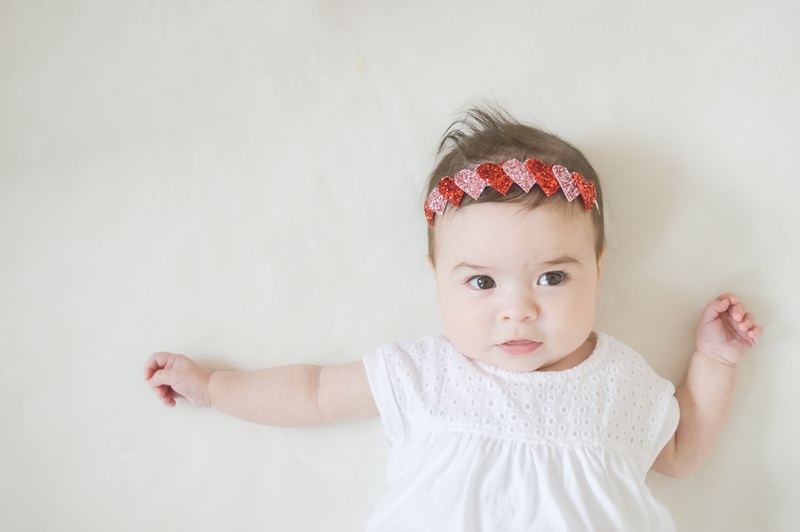 Special mention has to go to Pretty Ayah who blow us away every week with their gorgeous photos. We look forward to them every week! The print, on the bodysuit, is just my favourite thing ever. There were also leggings with the same print but ALAS, they weren't in Isla's size. It broke my heart a little bit. I really like the Donna Wilson at John Lewis range. I'd never really come across it before and now I've picked up 3 pieces in the sale. Winning! I am obsessed with all things clouds. FYI, Gap Kids have a whole range of baby items featuring clouds at the moment. I have banned myself from going in! So, anyway, back to the leggings. Yes, I love the print and the lovely soft colours used for the print. I think the boldness of the maroon top breaks up the outfit nicely and of course where would we be without our trusty moccs and the hat with the giant-est bobble in the world?! A temporary badge to be used for the couple week's while Hannah is away so she doesn't get questions on her blog whilst she's supposed to be relaxing! 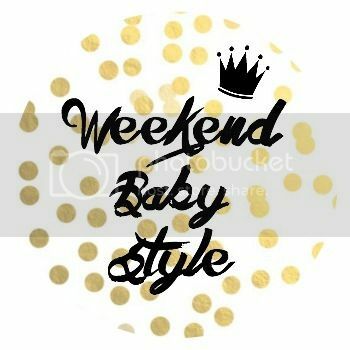 Oh wow thanks for featuring Joey in this week's #weekendbabystyle. Isla's outfit is lovely, it goes together so well, I think it's really refreshing when baby girls are dressed in colours other than pink. I love the cloud leggings, clouds seem to be THE style staple recently. Good luck on hosting WBS on your own, I'm sure you'll do great! I love the leggings, so funky! Yay I'm finally back inside my UK brain an can get commenting! Thanks so much for holding the fort - I couldn't have picked a worse week as you've been busy back to work!! You've done a great job - so many entries both weeks!! :) For the next holidays I take, I will be scheduling posts and will be posting and hosting as normal - stupid hotel this week had such dodgy wifi I couldn't access proper internet pages!